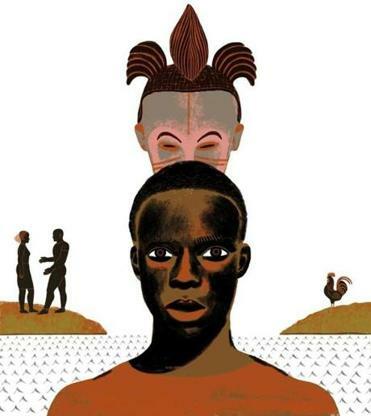 With his second novel Chigozie Obioma proves that the African folk tale can expand to embrace contemporary subjects, even while remaining true to its cultural roots. At the same time, he illustrates how the traditional realistic western novel may be perfectly adapted to Igbo cosmology, in which human beings are just one of many equal competing forces in a spiritually complex universe. It goes without saying, of course, that these tricks are not for kids and that only a master of literary form could manage to pull them off. As the folk tale-like story opens we meet Chinonso Solomon Olisa, a 24-year-old Nigerian poultry farmer, deep in mourning for his late father. As time passes, Chinonso begins again to care for his flock. Sometimes he even steps out to visit a friend. One night, while crossing a bridge, he witnesses a woman preparing to jump. He races from his car and manages to talk her down. Some months later, after their paths cross again, he and the woman, Ndali, fall in love. But her wealthy westernized family rejects the poultry farmer. Desperate to marry Ndali, Chinonso decides to sell everything he owns — his house, his land, and his business — for a university education. He enrolls at a school in Cyprus. But upon arrival, he learns he has been scammed out of his funds. Destitute, stranded abroad, devastated by a second more brutal betrayal, Chinonso twists into a bitter man with dark consequences. The story’s folk element derives in part from Obioma’s use of diction. Here is an example from a scene in which Chinonso returns from market. Obioma’s choice of narrator enhances the work’s timeless quality. The story is told by Chinonso’s chi or guardian spirit, which has inhabited our hero from the day of his birth. Through this medium we learn of Chinonso’s Christ-like character (he is a born saviour), his sensitive temperament, his work ethic, and his naïve tendency to trust. The chi occasionally departs Chinonso’s body to testify to the gods or move through the realm of grotesque spirits existing parallel to Earth. The Igbo cosmology, which Obioma diagrams early in the book, is an authentic aspect of this world. In Chinonso’s Igbo world “the White Man” is largely an abstraction, weighty and invisible. We hear of “the White Man’s education” and “the White Man’s idea about time” and especially “the White Man’s language.” Although Chinonso lives and works entirely among Igbo people, the ability to speak English nevertheless denotes education and confers status. Indeed, it is Chinonso’s unease with the language that serves as a class marker to Ndali’s disapproving father. It is only after Chinonso begins to compare himself unfavourably to Ndali’s family’s foreign accomplishments that he feels inferior, powerless, and full of shame. Chinonso’s experience may well be an allegory for a nation. Throughout this novel, Obioma evokes ancient African proverbs to elaborate upon Chinonso’s increasingly dire predicaments. Woven together as philosophical musings, they form the fabric of the narrative as do similar observations in a George Eliot story. In “An Orchestra of Minorities,’’ Obioma deploys whatever literary means necessary to retrieve the precious African knowledge that has been lost. It is more than a superb and tragic novel; it’s a historical treasure. Donna Bailey Nurse’s “Black Girls’’ will be out later this year.